Building upon the vocabulary learned in Redhouse Learning Set I, this second set consists of five books that continue teaching essential English vocabulary to children. The five books of this set are titled Fruits and Vegetables, School Time, The Weather, Where is Polly?, and Not Now Polly! 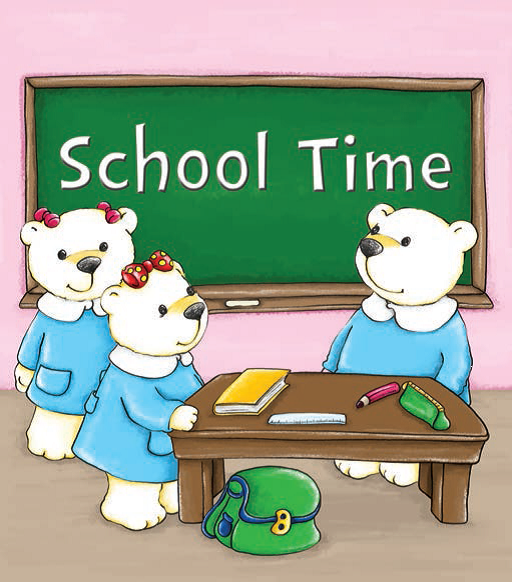 By this time children already know the little polar bear Polly. In these five books Polly introduces children basic English vocabulary that will be useful in everyday life and in school. As in the first set, in the second half of each book, some exercises are given to practice the words that have been learned. Neşe İnan’s illustrations keep children interested and focused on the vocabulary being introduced.